Relish in the artistry of beautifully spacious homes in Stittsville with Valecraft Homes. Charming new singles, bungalows, and townhouses located in the quaint town of Stittsville neighbouring west Kanata are now available. Small town atmosphere mixed with urban commodities and features makes Stittsville the ideal place to put down roots. Stittsville is home to many unique small town businesses and shops, creating an cozy and engaging community environment. Rathwell Landing offers a large selection of unique, beautiful homes to choose from, all in a safe and secure suburban atmosphere. Stittsville has an enchanting small town ambiance, but with all the same benefits one has in the city. With rapid public transit bus routes and OC Transpo “Park and Ride” lots close by, it is the perfect place to escape the big city yet still be able to commute around the region with ease. Stittsville itself is home to charming coffee shops, ice cream parlors, libraries, and restaurants that give the area an antiquated, charming feel. With close proximity to Kanata, seeing a hockey game or concert at the Canadian Tire Centre, or spending a day shopping and indulging in a delicious meal at the Tanger Outlet Mall is just a short drive away. Stittsville is an active community where residents can pursue a healthy lifestyle, no matter their diverse interests. Amenities include yoga studios, soccer fields, parks, recreation facilities, and fitness centres. Rathwell Landing is a short drive to the Goulbourn Recreation Complex which is home to two ice pads, a newly retrofitted swimming pool (with a water slide), a hot tub, a hardwood-floored gymnasium, spinning studios, after-school programs, swimming lessons, a state-of-the-art fitness centre, rentable spaces for birthdays/meetings, and an outdoor playground. While Stittsville has grown a lot over the past 5-10 years, it still maintains its historical roots and charm. The Trans-Canada trail, once a major railway artery and a symbol of the historical feats of Canadian industrial progression, is now a gorgeous trail path with scenic views and breathtaking greenery. The trail allows adults and children alike to bike, walk, run, play, and experience the beautiful effects of nature in a safe environment. The beautiful greens at Amberwood golf course and professional coaches at Kevin Haime Golf School offer golf enthusiasts of Stittsville tremendous opportunities to delve into their passions on pristine landscapes, just a short drive or walk from their homes. Parks and playgrounds are scattered throughout the lovely town providing children great places to build friendships, develop creative minds, and enjoy childhood fun. Stittsville also offers a place to indulge in the pleasures of relation, quality food, and entertainment. Gaia Java Café offers open mics and chances for local artists to express their musical abilities. Mahogany Spa is a great place to experience luxury care and pampering to help you relax and detoxify. Exceptional meals of some of the finest Italian cuisine in the Ottawa area can be enjoyed right in Stittsville at Cabotto’s or Napoli’s. Rathwell Landing is also just a short distance from a number of different schools providing education in both official languages in the Catholic or Public school board. Stittsville hosts a number of fun events that strengthen the community and its values of helping others with the annual Christmas parade, the Stittsville Food Bank, a farmer’s market, and a community garden. A home in Rathwell Landing allows for you and your loved ones to become a part of a generous, active and warm-hearted community. Rathwell Landing is a beautiful suburban community with a variety of unique homes to choose from. Rathwell Landing features townhomes, single homes, and bungalow homes. Each home features its own artistry comprised of stone, brick, and vinyl, constructed by proud local craftsmen. Devoted craftsmanship and passionate construction are an exclusive feature of a Valecraft home. With considerable choices within your home design and finishes, various structural designs and options for exterior finishes allow for new homebuyers to envision and create a home that is uniquely fit to their taste. Living in a community that offers something for everyone in a safe, green environment is what makes buying a home in Rathwell Landing the perfect fit for prospective homebuyers. Whether you are buying your first home, looking for a place to raise a family, or just want a quiet escape from busy city living, Rathwell Landing has many options to choose from. At Valecraft, Homes we take great pride in offering premium-quality homes to the Ottawa area. 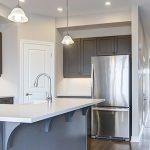 Our attention to detail and team of exceptional builders is why you will be grateful to have chosen to nest in Stittsville’s charming Rathwell Landing. 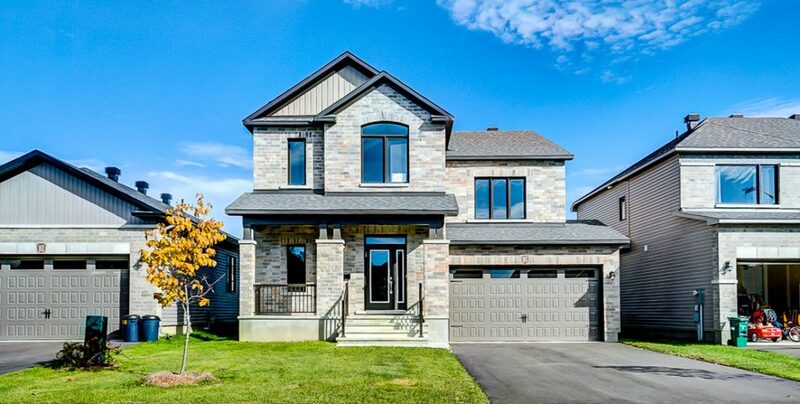 View our selection of new homes in Stittsville!